Social networking giant Facebook has been making improvements to its mobile app from time to time to enhance the user experience. Now the company is introducing more updates for its app to improve the way users use the social network on slow internet connections. The brand is improving its News Feed in order to have it work seamlessly and in a speedy manner, regardless of where you are in the world and the connectivity. The company said that some of the changes to be made include depicting relevant stories in the News Feed for the users who are stuck with a slow internet connection. Also, users can post comments on the News Stories even when they are offline. The Facebook app will download stories upon startup for quick loading. “Our mission with News Feed is to connect people with the stories that matter most to them, but if people’s News Feeds aren’t loading because of poor internet connections, we can’t show them the most relevant stories. People are coming online at a staggering rate in emerging markets, and in most cases they’re doing so on mobile via 2G connections. To improve News Feed so it works seamlessly and quickly for people in all parts of the world, we’re focused on designing it to operate well regardless of device or network connection,” the company said in the blog post. Facebook is testing an update that will immediately display relevant stories which haven’t been seen by the users yet. 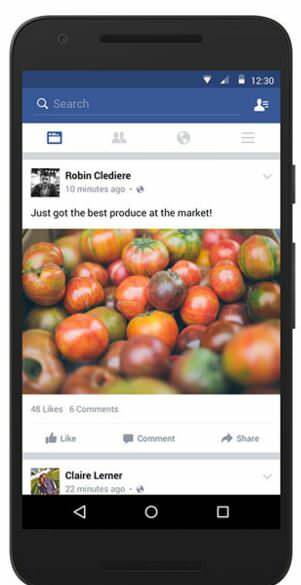 Also, the Facebook app will rank relevant and downloaded stories upon startup. These updates should help users engage better with content on the social network even if their internet connectivity is poor.